Dr. Silani was great! He was extremely knowledgeable, thorough and friendly. Dr. Silani and his staff are great--I highly recommend! Parking is easy (they have their own parking lot that's accessed through the arch between the store and the office), everyone is friendly and helpful (zero wait time! ), and I was confident that I was getting the highest quality of care. 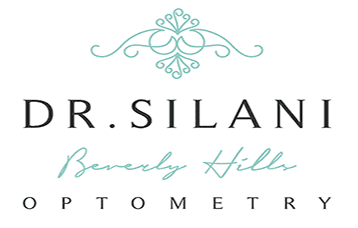 I'm so glad I found Dr. Silani and I look forward to having him as my new eye doctor! Good eye Dr. Close to home too. Off street parking available a plus. Dr. Silani is absolutely amazing! He really takes the time to explain each step of the eye exam and to ensure that you're comfortable during the appointment and not rushed. His office has the most state of the art equipment and it was so easy to book my appointment online at a time that worked for me (after work hours). They also have an AMAZING selection of frames next door! Honestly would recommend any and every person to come here! They were so nice, efficient, and you could really feel the family environment! 10/5 stars! Thank you Dr. Silani! I have never had a more thorough examination of my eyes or a better diagnosis of my eyesight. You are careful, precise, and very nice. Finally, I found a Dr. I can trust with my eyes. Looking forward to seeing you for my next exam! Couldn't have had a better experience here! So glad I found Dr. Silani and his team. 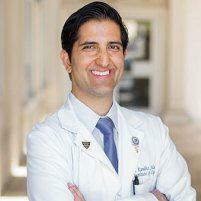 Dr. Silani is personable and charming. In fact, everyone at the office is lovely and treated me so well! Also Dr. Silani is a thorough and intelligent practitioner, I now see better (with corrective lenses) than I ever had. I look forward to my next visit! Dr silani was fantastic and very patient with me during the glaucoma test. Don't like air blowing in my eye! Very impressed with all his advanced technology. Highly recommend Dr silani as he is very knowledgeable, professional, and friendly. His staff was very nice too. Fantastic Doctor. Thanks so much! I am so happy I have finally found my eye doctor in LA! After moving here in September, I was on a quest to find the right eye doctor for me, as my eyes are very important to me and are constantly changing due to the nature of my job. Everyone here was so kind and welcoming. Service was prompt and very professional. Dr. Silani was able to find the right contacts to suit my eyes, which has been a struggle for other optometrists I have been to. Really enjoyed my experience here and excited for my eye journey with Dr. Silani!